The Land Transportation Franchising and Regulatory Board (LTFRB) slapped My Taxi.PH, operators of Grab in the Philippines, with a P10-million fine for illegally charging its customers P2 per minute. “If we are to compute the penalty for each case of overcharging under Joint Administrative Order no. 2014-001 in the amount of P5,000, and disregarding the repeat violation committed—which would result in the progressive rate of penalty and multiplying the same to the number of successful rides that charged the unauthorized time rate charge of P2 per minute—the penalty imposable will amount to trillions of pesos,” the order read. According to Joint Administrative Order No. 2014-001 by the Department of Transportation (DOTr), public vehicles found guilty of overcharging their passengers will receive a P5,000 fine on first offense, P10,000 and 30-day impounding of the unit on second offense, and P15,000 and cancellation of the franchise on third and subsequent offense. While the penalty should’ve been “trillions of pesos,” with the overcharging lasting for around a year between June 5, 2017, to April 19, 2018, warranting a cancellation of Grab’s permit to operate, the Board said that imposition of such penalty would cripple commuting. 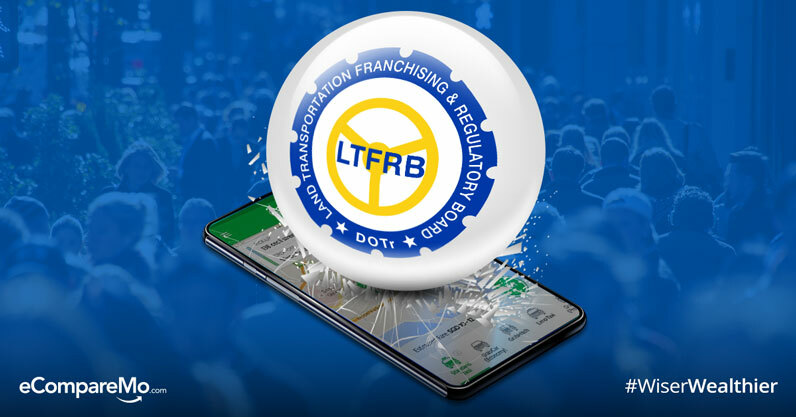 In a report by the Manila Bulletin, the LTFRB said it is “mindful of the rule that the violation of terms and conditions would merit cancellation of the accreditation of the Transport Network Company. On top of the P10-million fine imposed on Grab, the agency also mandated the TNC to return the amount illegally charged from customers during the said duration in the form of rebates. The rebate should be awarded to the public 20 days after the final decision. Last April, Grab admitted that it is billing people with the controversial P2 per minute on their rides. However, they said that it’s not illegal and they have always been transparent about it. The issue came into light after PBA Party-list Representative Jericho Nograles told CNN Philippines about the fees being collected to Grab’s passengers. “Per minute charges remain part and parcel to Grab’s fare structure today and we have continuously been transparent about this truth,” the company said in a statement. They even said that the LTFRB is cognizant of this matter. Grab has yet to make a statement and said they will reach out in due time after a consultation with their legal team.